Remy Uno began his artistic career as a graffiti artist in Marseille, France at the end of the 90’s. At first he would paint his name on street walls by forming large letters but over time his desire grew to paint people. 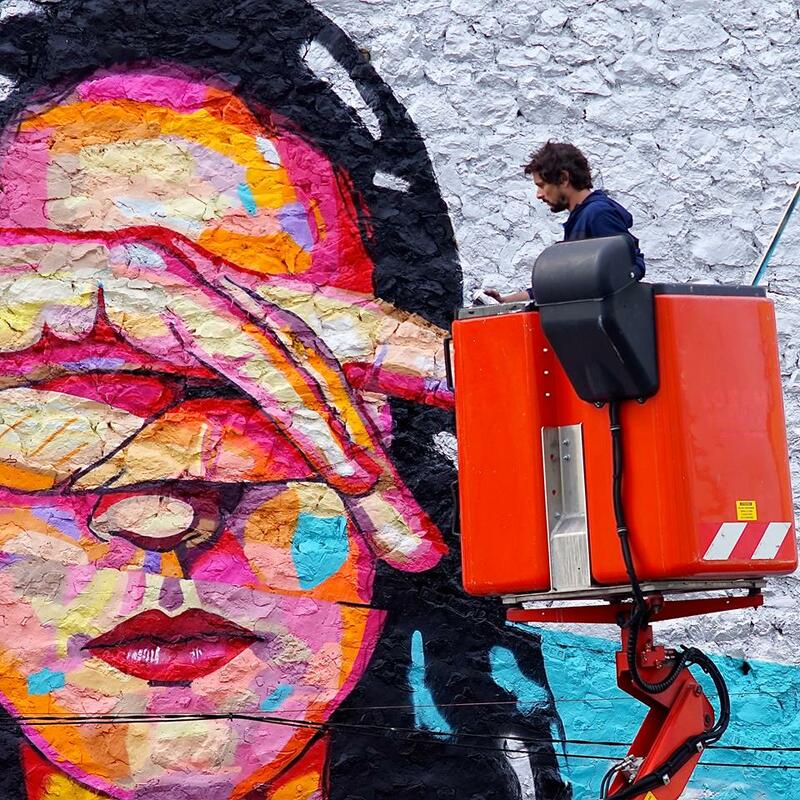 His work has been exhibited in places like Sao Paulo, New York, Moscow, London, Mexico and Barcelona. Remy’s work has evolved to full figurative and portrait paintings on canvas. His intimate interpretations of life situations and stories are depicted in his signature style of cutting through the imagery with bold colors and energetic moves. Remy Uno began his artistic career as a graffiti artist in Marseille, France at the end of the 90’s. At first he would paint his name on street walls by forming large letters but over time his desire grew to paint people. Through his graffiti work the impact he left on his viewers created the demand for paintings on canvas and the transition from street to studio came to be. In 2002 Remy formed a collective by the name Lartmada and for the next 10 years he & his friends have been travelling the world painting wall murals. His work has been exhibited in Sao Paulo, New York, Caracas, Moscow, London, Johannesburg, Mexico, Yaoundé and Barcelona. Remy’s work has evolved to full figurative and portrait paintings on canvas. His intimate interpretations of life situations and stories are depicted in his signature style of cutting through the imagery with bold colors and energetic moves.